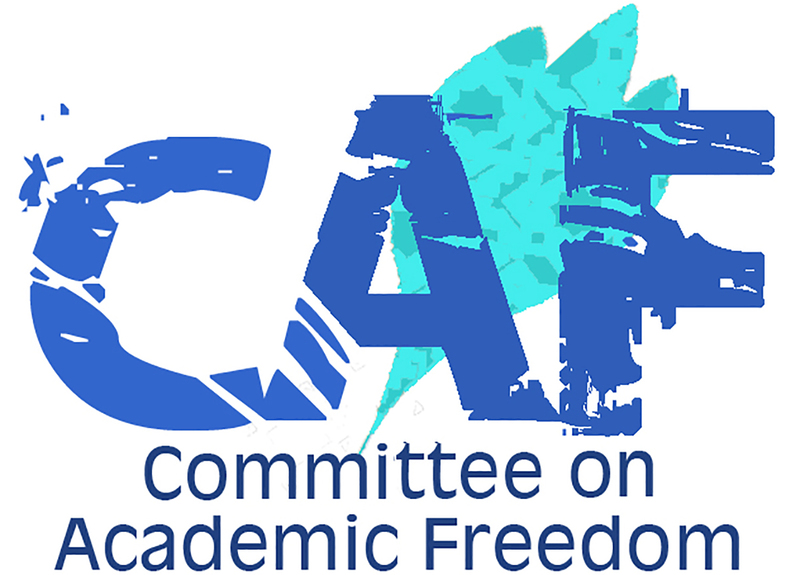 On behalf of the Committee on Academic Freedom (CAF) of the Middle East Studies Association of North America (MESA), I wrote to you in October 2014, to express grave concern over Israel’s indiscriminate bombardment and destruction of Palestinian educational institutions during July and August 2014. Based on a recent report, Rapid Assessment of Higher Education Institutions in Gaza, issued by United Nation’s Educational, Scientific, and Cultural Organization (UNESCO), it is now clear that the extent of damage and loss of life in Gaza far surpasses what was known then. At the end of the 50 day crisis, Israel had killed 421 students enrolled in higher education institutes (HEI) and 9 HEI administrators, and injured 1128 HEI students and 21 HEI administrators, many resulting in permanent injuries. Israel also destroyed 26 schools, damaged another 122 schools and 14 HEIs, and its targeting of six UNRWA schools serving as shelters killed 47 civilians. We reiterate what we wrote previously: It is imperative that these assaults be understood as part of an ongoing, intentional attack on Palestinian education by Israel in the context of continued military occupation of the West Bank and the Gaza Strip. Rather than continue to pay for reconstruction of what Israel has destroyed, donors should demand that Israel end its punitive blockade of the Gaza Strip and its repeated military assaults on the territory. Israel is flouting its obligation as the occupying power in the Palestinian territories to protect the population from harm. The willingness of donors to continually pay for reconstruction without clear condemnation of the military occupation relieves Israel of responsibility, and allows it free rein to continue its attacks on Palestine’s educational system. According to UNESCO’s recent report, Israel’s shelling damaged at least 14 HEIs. The damage to Al-Azhar University in Beit Hanoun, Islamic University’s central administration building, and University College of Applied Science is described as total. Israel targeted the Islamic University’s central administration building on the grounds that it housed a weapons development facility, the same rationale marshaled to justify bombing the university in 2008-2009. No evidence has ever surfaced to support Israel’s allegations that a weapons development facility existed at the university. Additionally, Israel’s bombardment resulted in major damage to Al-Azhar University in Gaza, Islamic University in Khan Younis, the Arab College of Applied Sciences, and Al-Quds Open University. In fact, Israel raided Al-Quds Open University at least three times during the latest onslaught, and among the many buildings of the University College of Applied Sciences destroyed were the central administration building, a conference hall, computer laboratories and classrooms. Total damage to buildings, facilities, and equipment is estimated at over US$16 million. All of the institutions of higher education in the Gaza Strip canceled summer courses during the July-August onslaught, affecting tens of thousands of students. Given the destruction of physical plant—not to mention lives, homes and livelihoods—all HEIs were interrupted. They were disrupted for a minimum of 20 days and a maximum of 62 days over the semester. In total, 1,016 HEI days were lost over the summer semester. In addition, during the conflict, Israel destroyed twenty-six schools which will require complete reconstruction, and damaged 122, 75 of which are UNRWA schools. Moreover, unexploded ordnance littered educational facilities and had to be cleared before their re-opening. Israel also targeted six UNRWA schools that were serving as civilian shelters, killing 47 civilians and injuring hundreds. Nine UNRWA staff members were among the dead: four teachers, two social service workers, a school principal, a school attendant and a laborer. The homes of 7169 HEI students and 393 staff members were either totally destroyed or damaged in the onslaught, leaving many homeless. Furthermore, many students have been left traumatized by the extent of death, destruction, and loss. According to UNESCO’s survey, many students exhibit symptoms of post-traumatic stress disorder, severe depression, sadness, anxiety, and many have been unable to return to their studies. Israel’s summer 2014 attacks upon the Palestinian educational system are an extension of decades-old military occupation policies that systematically undermine this sector. Palestinian universities suffer immeasurably from Israel’s collective punishment policies, foremost among them campus raids and restrictions on movement that, in some cases, prevent students from attending classes. Furthermore, when these latest attacks commenced, the Gaza Strip had yet to recover from the damage caused by Israel’s bombing campaign of 2008-2009. By the end of those military operations, Israel had killed 250 students and 15 teachers, and had injured 866 students and 19 teachers. Its bombing campaign damaged 16 kindergartens, 217 schools, and all eight of the Gaza Strip’s institutions of higher education—the Islamic University of Gaza, the University College of Applied Sciences, Al-Aqsa University, Al-Quds Open University, the College of Applied Sciences and Technology, the College of Dar Al-Da`wa and Humanities, Al-Azhar University, and the University of Palestine. At least six university buildings were damaged beyond repair. The total damage to educational facilities in 2008-2009 was estimated at over $32 million. Even prior to these massive air assaults, the Gaza Strip’s educational facilities were already severely weakened by Israel’s blockade: Gaza suffered a shortage of 200 schools because the building of new ones to accommodate natural population growth had not been possible, and many schools, especially at the elementary level, were already overcrowded, undersupplied and operating on a shift system. Since 2009, numerous UN officials, among them Secretary General Ban Ki Moon and High Commissioner for Human Rights Navi Pillay, have asked that Israel be held accountable for the cycles of destruction in Gaza. We echo this call, and ask international donors to hold Israel accountable and not continue to pay for these cycles of destruction. All outside commitments and pledges of aid will be virtually useless if the blockade and other policies of military occupation persist. To protect academic freedom and the right of Palestinians to education, the fundamental circumstances in the Gaza Strip must be transformed.